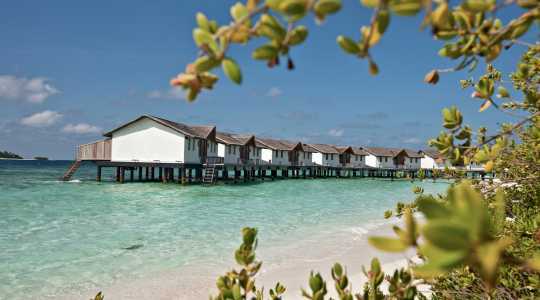 The charming Reethi Beach Resort is found a scenic 35 minute seaplane ride from Malé. 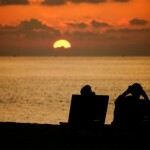 The friendly laid-back atmosphere of this untouched island appeals to families as well as honeymooners. 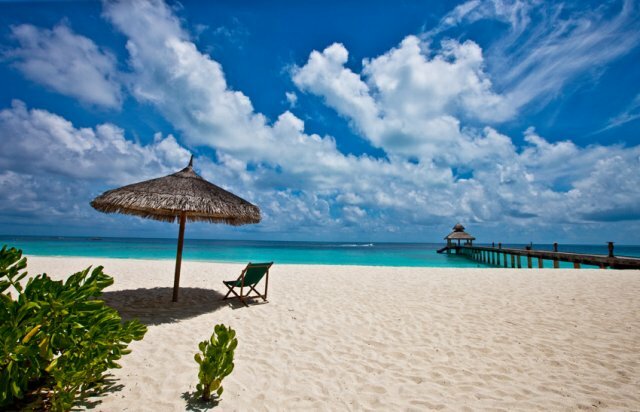 So take off your shoes and indulge in truly stunning surroundings and Maldives hospitality for a holiday with a difference. 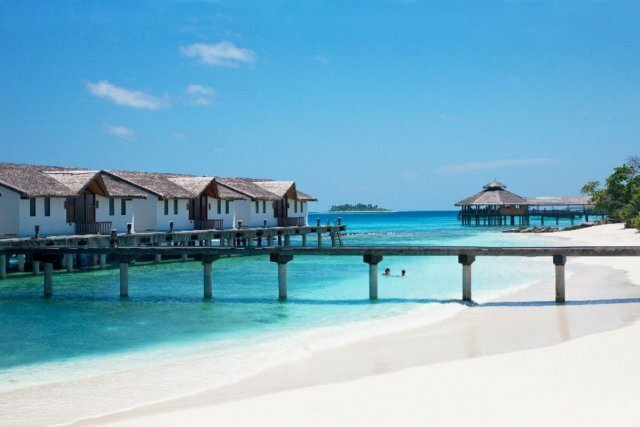 The Indian Ocean with its crystal clear water and amazing underwater life is one of the central features of your Maldives holiday. 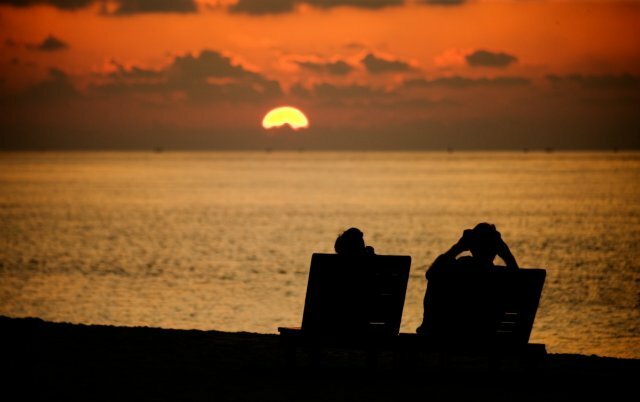 Discover the secrets of the house reef by day, and later at night watch the spectacular sunset reflect in the glistening waves of the tranquil ocean… while you’re sipping on an exotic cocktail. 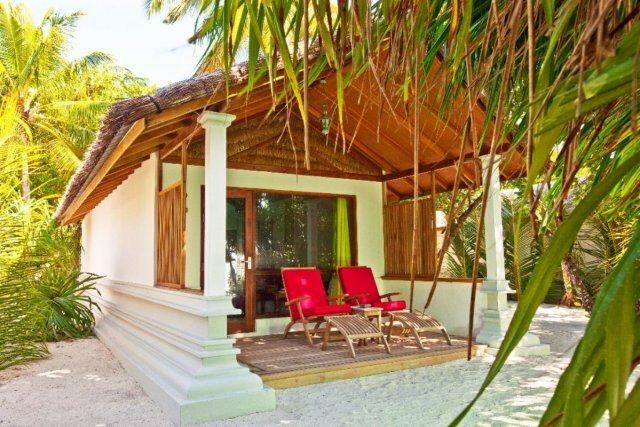 Reethi Beach Resort is your ticket to the most relaxing holiday you have ever had. You deserve it. 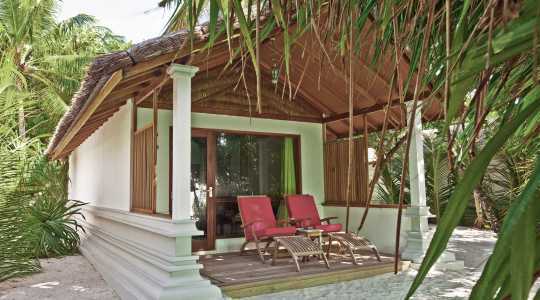 The Reethi Villa (38 sqm) offers great value for money. 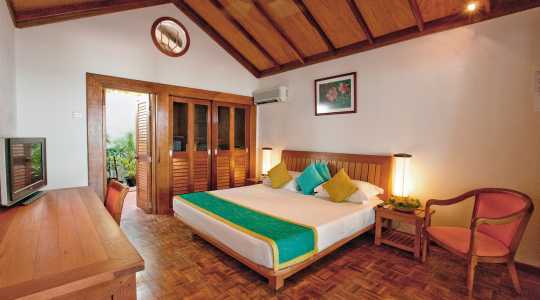 Located steps from the Indian Ocean, you will enjoy your own private terrace and a semi open-air bathroom with shower. 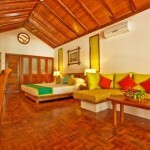 The interior celebrates traditional Maldives design and adds a relaxed feel to your holiday. 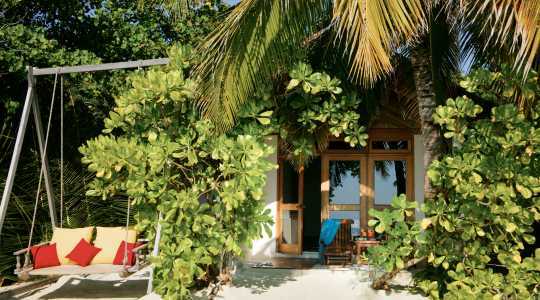 The Reethi Villa includes a king size bed or two twin beds. 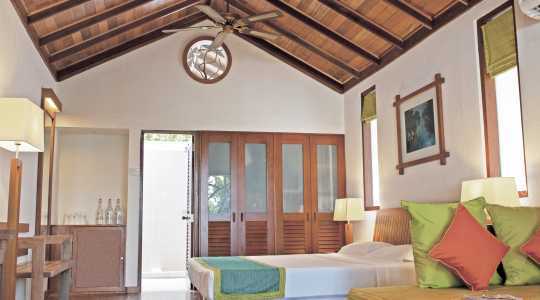 The Deluxe Villa (47 sqm) has striking ocean views, making it the ideal spot to watch the sunset across the Indian Ocean from your private veranda. 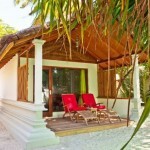 The Maldivian swing outside the villa is another lovely feature. 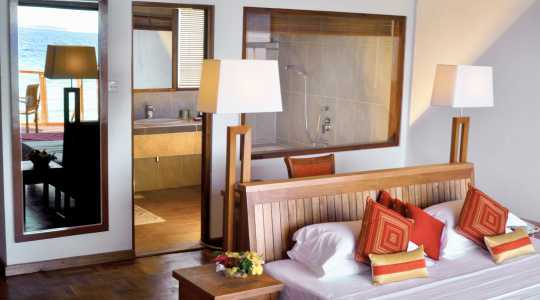 The Deluxe Villa also has an open-air bathroom with a tropical rain shower and a bathtub. 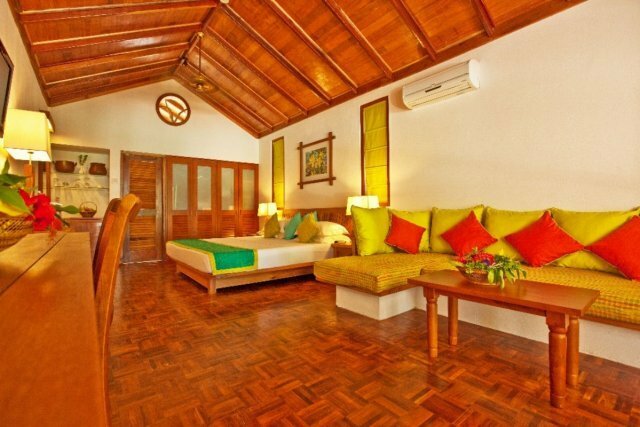 A king size bed is included, as well as a large indoor seating area. 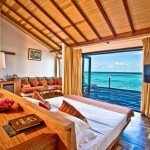 The Water Villa (61 sqm) is the most exclusive villa of the resort. 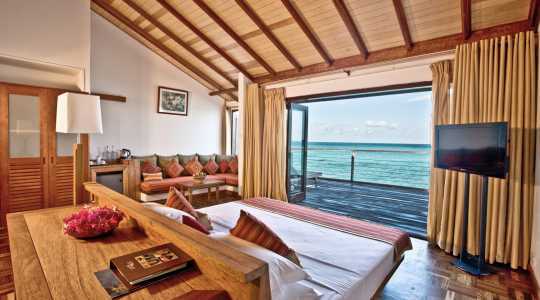 Standing on stilts directly above the Indian Ocean off the east shore of the island, this villa has direct lagoon access as well as a private balcony with sun loungers. 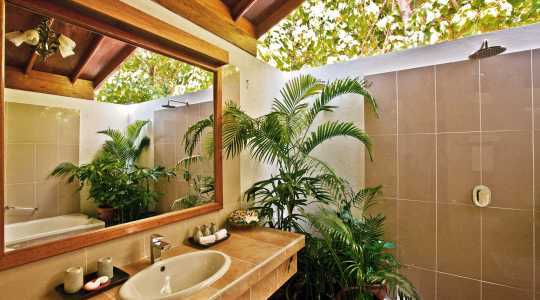 The lavish indoor bathroom boasts a bath and a separate rain shower. 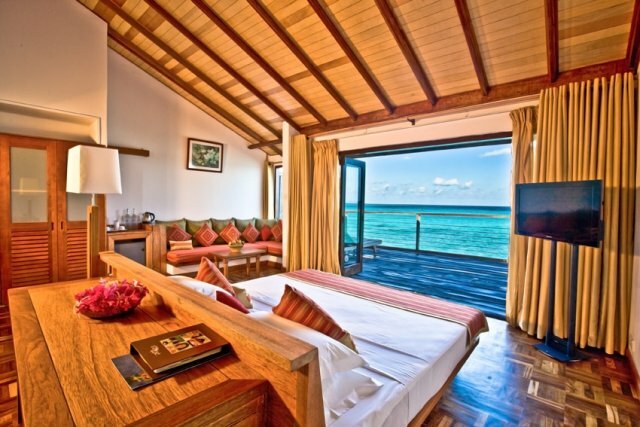 The large king size bed is the centrepiece of the room and has direct ocean views. 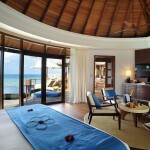 The Water Villa is ideal for honeymooners. 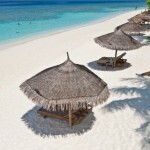 Reethi Beach is a full-service resort with facilities and activities to suit the whole family. The two boutiques offer relaxing entertainment, while the sports centre suits the more active traveler. It includes a fresh water swimming pool, floodlit tennis courts, table tennis, badminton, squash and a fully-equipped gym. 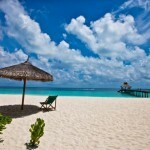 In addition, the Dive Centre is ready to help you explore the many stunning reefs surrounding the island. 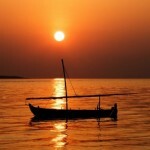 The instructors are multilingual and offer a range of diving courses, including night diving and night snorkeling. 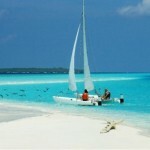 The Water Sports Centre offer windsurfing, catamaran sailing, kite surfing and waterskiing. 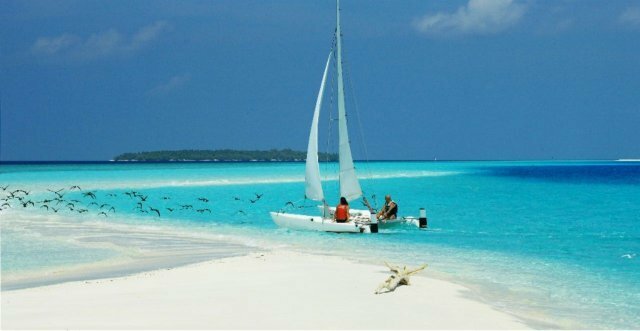 If you want to explore more of the Maldives, the resort offers excursions to nearby islands where you get to experience local culture. It’s also possible to arrange dining on a nearby island. 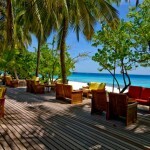 Coconut Spa is the popular beachfront spa at Reethi Beach Resort. 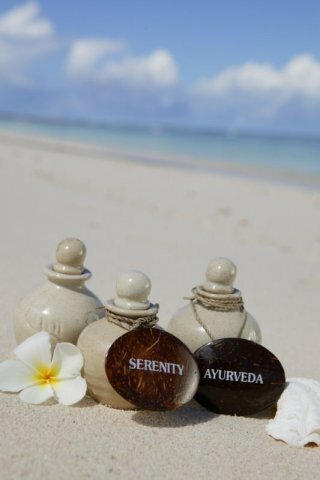 Using traditional Balinese treatments, the spa therapists will pamper you to relaxing massages and rejuvenating facials. 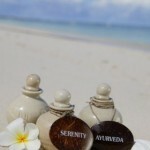 Couples’ treatments are also available. 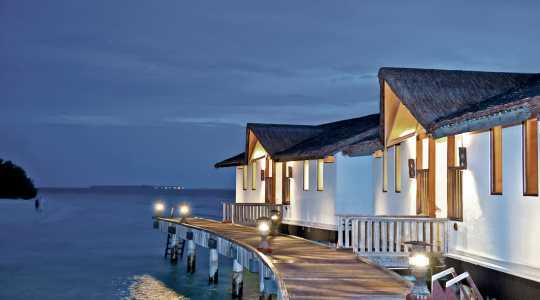 The treatments take place in pretty beach huts, while the Jacuzzi and steam room is the ideal place to wind down. 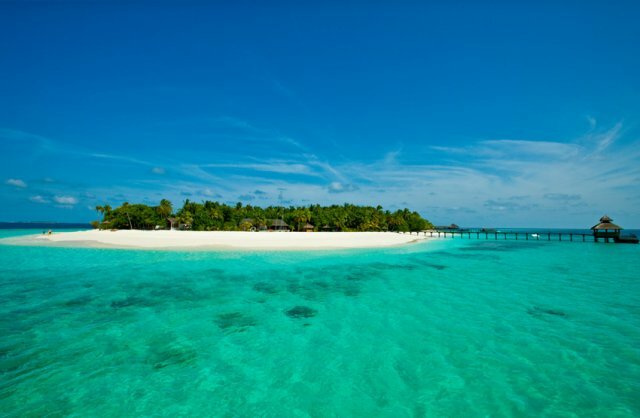 With an impressive range of restaurants and bars, Reethi Beach Resort has made sure that each guest will enjoy dining here. 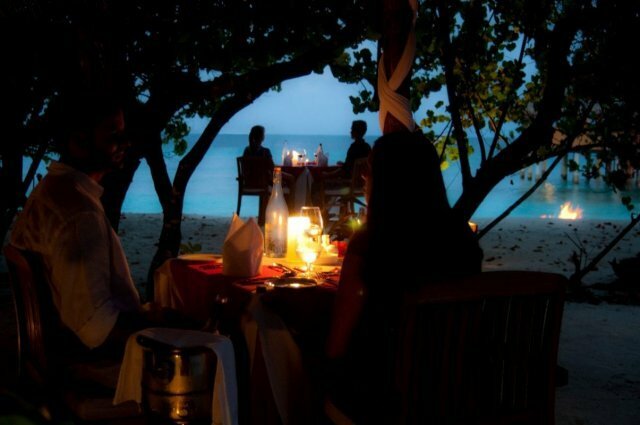 Don’t miss out on the Private Dining experience, where you and your loved one will be taken to a secluded spot on the island to enjoy a private dinner. 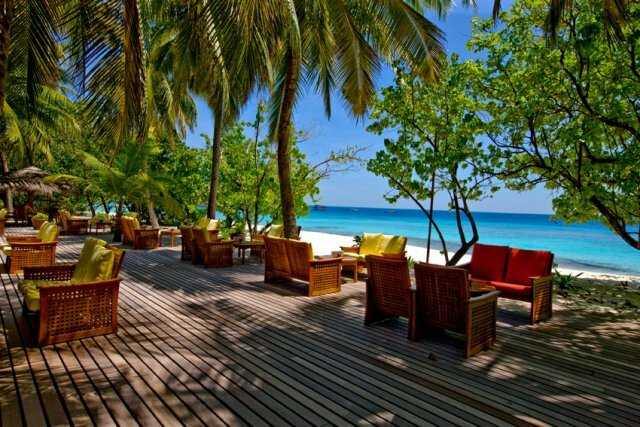 The Rehendi is the casual main restaurant of Reethi Beach Resort. 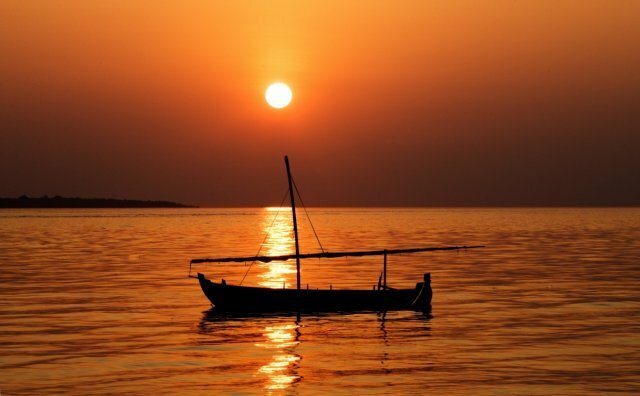 Located on the west side of the island, this restaurant serves delicious buffets for breakfast, lunch and dinner with a different culinary theme each night. 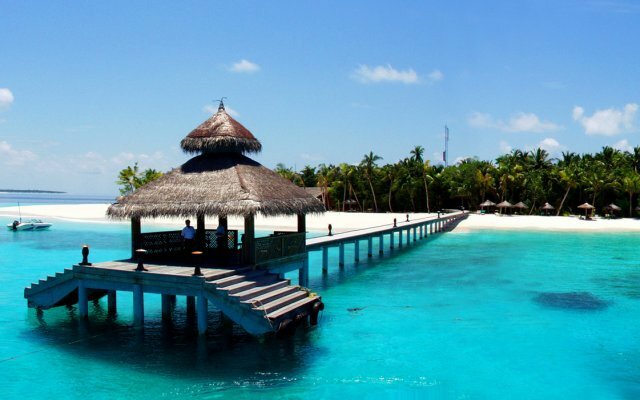 Moodhu Bar & Restaurant has an excellent location directly above the turquoise lagoon, making for stunning views. The a la carte menu is varied and includes lobster, Western and International dishes, sandwiches and there is an extensive cocktail list as well. 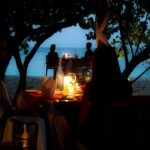 Reethi Grill makes for unforgettable dinners under the starry sky. You will find wood fired pizza, grilled meats and seafood on the menu. Alifaan Restaurant is a laidback poolside venue where snacks, burgers, pizzas, crepes and various beverages are available. Saima Garden is an elegant boutique style restaurant serving both local specialties and International cuisine. Since there are only five tables, reservation is required. 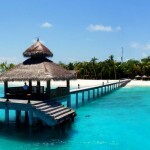 Rasgefaanu Bar is the ideal place to meet new friends on your Maldives holiday. Exotic cocktails, game rooms and live entertainment are all available here. Veyo Bar is a uniquely designed bar that offers alcoholic beverages, healthy drinks and ice cream. Beach Bars are scattered out all over the island. These bars function as meeting places and offer cooling drinks. 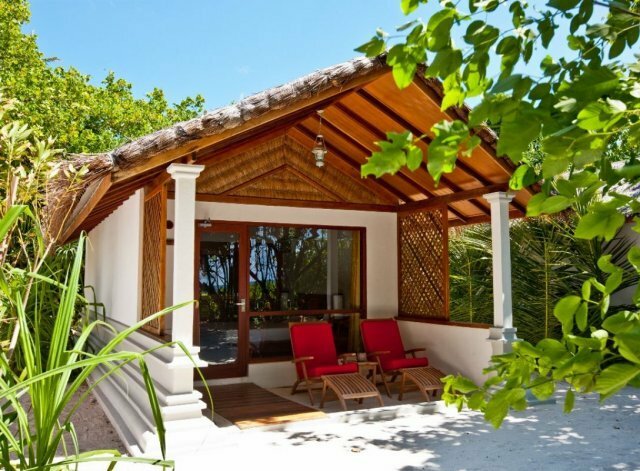 Simply Maldives Holidays offer a Bed and Breakfast package, Half Board Package, Full Board Package and an All-Inclusive Package to guests staying at Reethi Beach Resort. One complimentary fruit basket, flowers and a special candlelit dinner with one bottle of wine, if staying within 6 months of wedding date. (A copy of wedding certificate will be required on check in). 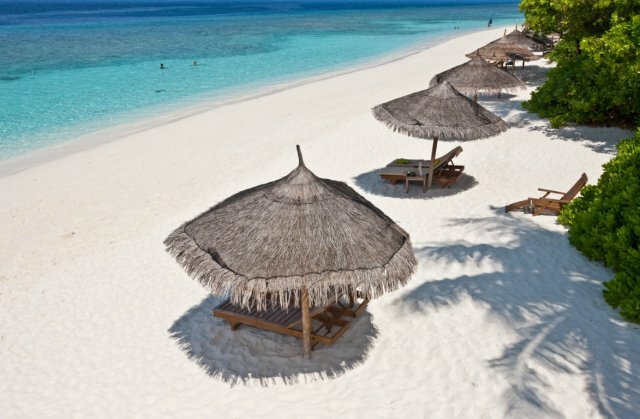 One complimentary 30-minute massage in the spa (once per stay per Honeymoon couple) and a free personalized palm tree plaque.